President Emmerson Mnangagwa's government yesterday released the long-awaited list of companies and individuals alleged to have failed to return $827 million stashed abroad following the expiry of a 14-week-long amnesty, the Daily News can report. The list, which reads like a housewife’s grocery checklist, has over 1 800 companies, with their dollar values dwarfed by diamond mining companies and Chinesnationals. But Mnangagwa’s name-and-shame strategy has fallen short of expectations. It has been met with widespread condemnation for leaving out the big fish in his administration, previously reported to have funnelled millions of greenbacks abroad. Last Friday, former president Robert Mugabe’s nagging wife‚ Grace — widely speculated to be the main target of Mnangagwa’s call for funds to be returned — told a South African weekly publication that she had nothing to hide. “We are honest people. We have no money outside‚” she was quoted saying. 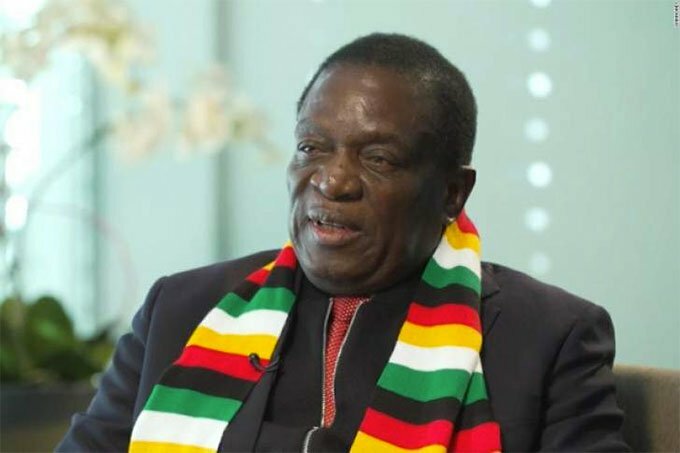 Legal experts were yesterday scathing in their criticism of Mnangagwa’s naming and shaming gimmick, saying it violates the rule of law and presumption of innocence. Fundamentally, the list contains companies that shut down years ago, among them Eaglemoss Enterprises, Coppleridge, Remington and Hubert Davies. Some of the listed corporates are under judicial management, for example Apex Corporation, while River Ranch — a private diamond company owned by late Saudi billionaire Sheikh Adel Aujan who was in a partnership with former vice president and now opposition National People’s Party leader Joice Mujuru’s family — is currently under liquidation. Critics told the Daily News yesterday that its compilation betrays a factional agenda by leaving out functionaries in the Team Lacoste camp, who have unfinished business with rivals in the Generation 40 (G40) faction, linked to Mugabe and his wife, Grace. The biggest culprit, according to the list, is African Associated Mines (Private) Limited — a subsidiary of SMM Holdings (Private) Limited, linked to South African-based businessman Mutumwa Mawere. Mawere’s businesses came under government control through a presidential decree in 2003 amid reports that the businessman had fallen out with Mnangagwa. African Associated Mines, which topped Category 1, is said to have externalised $62 049 622, but it was not clear when this money was externalised. SMM, based in Zvishavane and Mashava, ground to a halt in 2008, three years after the government seized them from Mawere, under a controversial “reconstruction” law that allowed the State to take over assets of businesses deemed to be insolvent and incapable of servicing loans and charges owed to State institutions and agencies. The mothballed mines were placed under the State-run Zimbabwe Mining Development Corporation (ZMDC), which has been running them through Mnangagwa’s proxy, Afaras Gwaradzimba. Diamond mining firms ranked high up the list, with numerous Chinese retail companies also dominating the table. Also prominent in Category 1 — illicit financial flows externalised through non-repatriation of export proceeds — are almost all of the nine diamond mining firms that operated in the Marange fields in the eastern part of the country before they were evicted ostensibly because their licences had expired. These include Marange Resources ($54,2 million)‚ Canadile Miners ($31,3 million‚ Mbada ($14,7 million) and Jinan ($11 million). Canadile, which operated in the Marange diamond fields in 50-50 partnerships with ZMDC was kicked out from the fields over 10 years ago on fraud allegations. It’s said to have externalised $31 350 554. The company which took over from Canadile — Marange Resources — which is government-owned, reportedly externalised $54 238 249. Going by the list, government firms were the biggest culprits. They were mentioned together with Schweppes Zimbabwe Limited which is a manufacturer and distributor of non-carbonated still beverages under licence from the Coca-Cola Company, giant cooking oil manufacturer United Refineries Limited, PG Industries (Zimbabwe) Limited — a major manufacturing company; the distribution unit of light manufacturing business Innscor; TN Harlequin Luxaire the largest household furniture manufacturer and retailer in Zimbabwe, Adam Bede, a manufacturer of top end furniture; and auctioneer Hammer and Tongues. Category 2 include funds externalised through payment of goods not received in Zimbabwe amounting to $124,8 million from 1 403 companies that include Ekusileni Medical Centre — a private specialist hospital in Bulawayo funded by State pension fund, the National Social Security Authority — built in honour of the late vice president Joshua Mqabuko Nkomo. Ekusileni Medical Centre‚ a non-operational hospital in the second largest city Bulawayo, is alleged to have sent out $3 million out of the country. The specialist hospital was built by Nssa‚ but has never been operational since its inception 14 years ago. The hospital was part of Mnangagwa’s 100-day pledge when he came into office through military assistance but nothing has been done to open it. Also under Category 2 is Anjin Investments, a joint venture between the Anhui Foreign Economic Construction (Group) Co Ltd and Matt Bronze Enterprises, a Zimbabwe Defence Forces company; Mbada Diamonds; Hwange Colliery Company; textile company Qingshan Investments (Private) Limited; Puzey & Payne, a major player in the Zimbabwe’s motor industry; Intratek linked to Wicknell Chivayo, a businessman who rose to prominence after winning large Zimbabwean government contracts; Zimbabwe’s largest gold producer, Metallon Gold; Sable Chemicals, Zimbabwe’s sole manufacture of Ammonium Nitrate fertiliser; Harare City Centre Adventist Church; E Munenzva Bus Co P/L; Bindura Nickel Mine T/A Trojan Nickel Min; National Blood Service Zimbabwe; Zimbabwe Red Cross Society; the Heritage School and Mukonitronics P/L. Category 3, listing funds externalised to foreign banks in cash or under spurious transactions amounts to $464 million from 157 companies and individuals. It includes Zanu PF-linked businessman Agrippa Masiyakurima, popularly known as Bopela and a host of Chinese players.